Doug Headrick is the General Manager of a Regional Water Agency in Southern California and an engineer. In 2020, he’s leading a fundraising bike ride through Cambodia, and he wants you to join him. According to Doug, the experience is incomparable. Doug first heard about Lifewater fifteen years ago. His pastor challenged his congregation to go on at least one missions trip in the next few years, and Doug wanted to find a Christian organization doing sustainable water work in developing countries. He researched and prayed and nothing seemed to present itself. In just a couple of months, Doug was interviewing to be a volunteer. 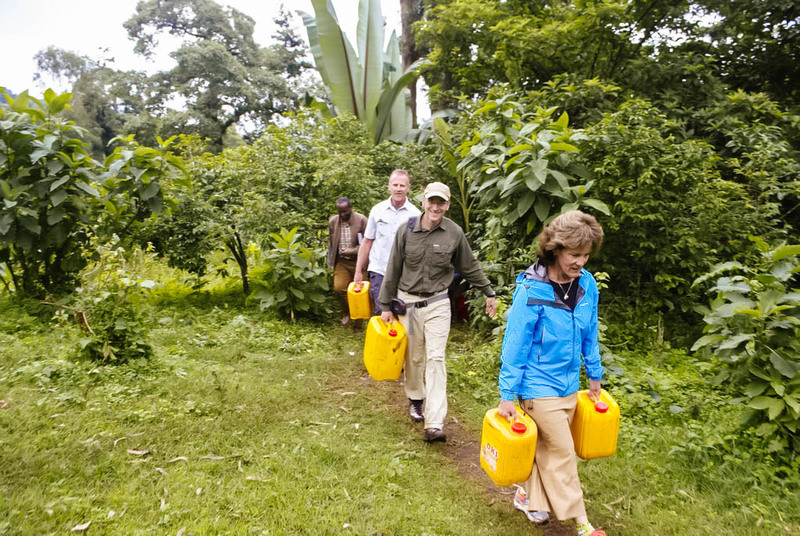 Six different countries and over a dozen years of service later, Doug launched Climb for Clean Water Mt. Kilimanjaro, a 7-day climb up the tallest mountain on the African continent. With him were 15 climbers inspired by his vision to raise funds for safe water. Together, they raised funds to provide clean water for 16 villages. Now, the longtime Lifewater supporter and Board of Directors chairman has come up with his next adventure, the Ride for Clean Water Cambodia 2020 trip, and he’s taking 14 people with him. Each person’s ride from Angkor Wat to the Gulf of Thailand will fund a village water project for 200 people in Cambodia. There are over two million people living without safe water and six million living without improved sanitation in Cambodia. There is much at stake and much to gain by joining Doug on this next life-changing adventure in Cambodia. Join Doug and give lasting, safe water to many.